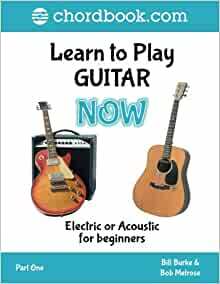 For beginners of all ages wanting to learn the acoustic or electric guitar. A comprehensive guide to all the common principles and techniques need to get started. 5.0 out of 5 starsJaw droppingly good! Quite possibly THE BEST book for ANYONE of any age or gender who wants to learn. It's clearly written and explained with detailed photographs with the added bonus of Chordbook.com. The writers and creators are clearly experienced and know how terrible the average learning books are. This book and it's resources really raises the bar and is obviously written by experienced pros. 5.0 out of 5 starsI can highly recommend it. Well-written (and well-photographed) this is an easy-to-follow introduction to guitar-playing that explains the basics concisely and clearly and will help budding guitarists of all ages to take their first step in learning to play. I can highly recommend it.